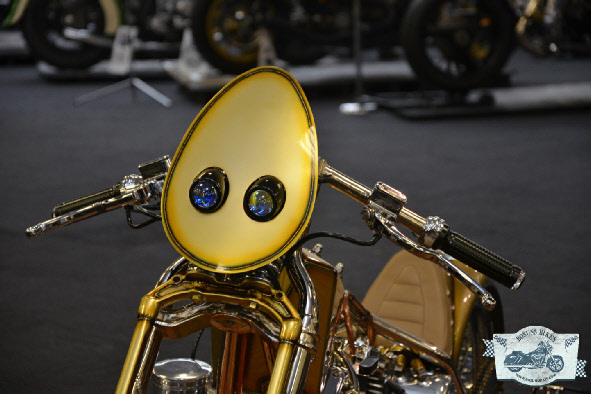 Autumn a time of year, which although it looks fabulous and provides some beautiful riding days sadly for us custom motorcycle enthusiasts means the closing of the show season and what a way to see the season out with a bang with Kickback at London Olympia. starting at a relaxed 2pm I met Lorne the organiser who was jumping around excitedly pointing at the big illuminated sign outside the fact it also said wine festival for the adjacent venue also made us smile. 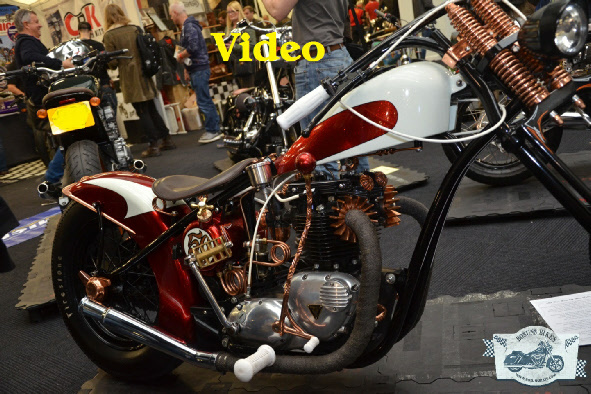 What a way to round up the show season, with as diverse and eclectic a selection of bikes as can be hoped for, with street cubs from the enthusiastic cub scene. For those that wonder about Bosun's riding style I passed my test on a C70 back in 1980 and recently have hankered after another, but the popularity of these little bikes far passes the £475 I brought one new for in 1979 (with my mum as guarantor) and the quality of these bikes is amazing. Other than the cubs, I cannot say any particular style prevailed, but there were some stunning bare metal bikes, which extol the virtue of the engineering and it was brilliant to see Rocket Bobs Speed weevil, which had just returned from Las Vegas where it had just won the artistry in iron competition, it was stunning as every time you looked you saw another amazing touch. One of the neatest stalls was by the losers mcc a mild mannered motorcycle club for gentleman and lady tea drinkers, who were having a great time and raising money for charity, you just have to love how not only the bike but the club scene is fun at the moment. As well as tea there was also jewellery, some cool Japanese painted leather and lots of art. 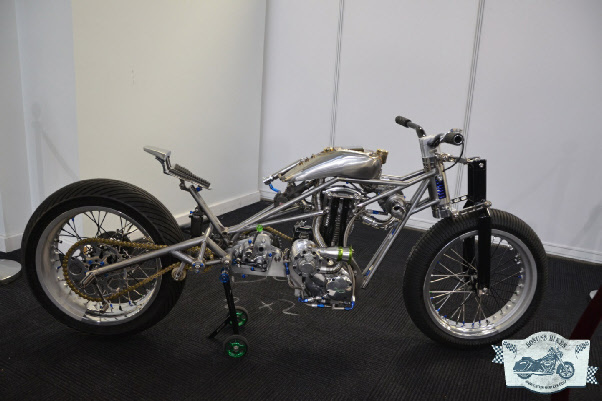 A fabulous way to round off, what I have considered to be one of the most superb years for bike shows and customs.